"I will 'share the road' when cyclists start 'obeying the traffic laws.'" "I always see bikers disobeying traffic signals. They always run red lights going across R Street and Connecticut Ave"
Which leads to what I call "The Myth of the Scofflaw Cyclist". Now then, I'm not trying to claim that cyclists don't break the law. Let me state clearly and upfront, they do. What I'm saying is that there is nothing unique about the frequency with which cyclists as a class break the law when compared with drivers or pedestrians. And even if cyclists broke the law more flagrantly than others, this would not negate the need to share the road. Implicit in all of these types of comments is that drivers (and sometimes pedestrians) constitute the law-abiding sections of society, but these scofflaw cyclists - with their Lycra-clad arrogance (you have to mention arrogance or self-righteousness for it to count) - are a menace to society. Let's knock that down first. Many drivers break the law. I would almost be willing to say that every driver breaks the law, but let's stick with many. How? First of all, they speed. In DC, speed cameras were set up at several locations. They recorded 170 infractions per hour (that's one every 21 seconds for all you poli-sci majors). From August 1999 through May 2008, the automated red-light enforcement program has, at 49 locations, resulted in 741,780 notices of infraction. There were 1.67 million parking tickets written last year, up from 1.3 million in 2001, according to statistics provided by the D.C. Department of Public Works (DPW). They double park and park in the bike lane. Court records show that among the first cases in Fairfax County last week, five motorists each had fines topping $10,000. A dozen more face penalties higher than $4,000. They drive drunk and distracted, this being a mere drop in the bucket. Through October, officers issued 9,484 tickets this year to motorists driving with a cell phone in their hand, according to police statistics. During the Smooth Operator campaign waves of July, August and September, officers are assigned to target speeding and other forms of aggressive driving. They issue lots of tickets: Almost three million since the campaign began in 1997. My point isn't that two wrongs make a right or that drivers are worse than cyclists. My point is that it's hypocritical to call your neighbor rude, because his loud stereo makes it difficult for you to focus on your backyard chainsaw sculpting. Do you think I don't know the law? Wasn't it me who wrote it? And this man has broken the law. What do all of these things have in common? I've heard or seen each held up as an example of cyclists' disregard for the law. And they're all legal (not in every circumstance, I note). Some are ill-advised perhaps, but all legal. And cyclists know this. Cyclists in general know the law better than drivers (although Mike Debonis over at Washington City Paper is unsure about lane-splitting and sidewalk riding. Both are legal Mike). And better than the police even. So much of the myth stems not from willful disregard for the law by cyclists, but rampant ignorance of the law by drivers. As I said before, cyclists do break the law. There is no denying that. Merriam-Webster defines scofflaw as "a contemptuous law violator". Do cyclists break the law with contempt? Perhaps, but no more so than drivers or pedestrians. But the two biggies are red light and stop sign running. This is the most frequent criticism and the one that really gets the blood to boil. As mentioned above, cyclists run stop signs at much greater frequency than drivers do and I'm sure the same is true of lights. I once heard Eric Gilliland of WABA on NPR asked the question "What can we do to get cyclists to obey stop lights?" He gave a very non-confrontational answer, saying it was a problem, and that WABA supports education and such. But Gilliland never really answered it, and I think the true answer is "Nothing." There is no engineering fix and probably no education fix (Let's face it, most jaybikers are experienced, well-informed cyclists - not that foot-droppers aren't. Just that they've made up their mind). Enforcement would have to be off the chart, and even then would probably have little impact. Seattle fought jaywalkers for years, writing thousands of tickets, as I recall, and finally gave up defeated. You could ban bikes - but I can't imagine any city doing that these days. Then someone asked Eric a variation of "Why do cyclists run red lights?" There are several reasons I've heard (safety in getting ahead of traffic and in-street sensors which do not detect cyclists, for example) but the basic answer is a classic risk/reward scenario. Jaybikers are calculating that the reward of keeping momentum or gaining the early start outweighs the risk of being caught or hit. People are notoriously bad at calculating risk and reward (sub-prime mortgage crisis anyone?) so I won't weigh in on whether they're right or wrong, but I'll just leave it at that's what they're thinking. This, coincidentally, is the same reason why drivers and pedestrians run red lights. Let's talk about red-light running. There are two types of red-light running: "catching an orange" - or running the start of a red light - which every class of users does; and jaywalking or jaybiking - waiting for the intersection to clear and then crossing against the light - which only pedestrians and cyclists do. Therefore, a better question is "Why don't drivers 'jaydrive'?" Is it because they love the law so much? Did you skip the previous section? It's because their risk/reward calculation is coming up with a different answer. And that makes sense. In a car, you're several feet farther back from the intersection and you're often a foot or two lower than on a bicycle, meaning you can't see as well (I bet those on recumbents don't jaybike as often as those on standard bikes). In a car, you're in a soundproof enclosure, so you have no stereoscopic hearing. And if you make a mistake you aren't as maneuverable as you would be on a bike or on your feet. You can't just ditch to the sidewalk. Drivers don't jaydrive because, in their own estimation, they can't. If they could, I'm sure they would. Still, that doesn't explain the anger. Drivers get - I feel - irrationally angry about this. I wondered why for so long; and then an anthropologist friend of mine helped me to understand. Running a red light is so dangerous for cars that it isn't just illegal, it's taboo. You're breaking a social construct. That means people find it objectionable and abhorrent. So if education is needed, maybe it's needed to explain why it's safer for cyclists to do it than for drivers. Which goes back to the question of what can be done about jaybiking. I said there was nothing, but that's not true. I've told this story before, but here it is again. As a college professor told it to me. On a campus, campus planners laid out the sidewalk to a building in the shape of an L. Students ignored the sidewalk to walk along the hypotenuse wearing a path in the grass. The school planted hedges to "guide" them. Students cut a rut through them. The school put up a fence. Students climbed over it until the fence broke. Fed up, the school got an architect to design a fix. She tore up the old sidewalk and laid another new one along the path. Problem solved. stop lights didn't need to be invented until there were too many cars in NYC, etc. leading to something new - car accidents, making streets a place to be feared. The purpose of all the traffic lights, signs, and lines - is to prevent CARS from running into everything else. Idaho has changed its law - and California is considering it - to allow cyclists to treat stop signs as yield signs, and stop lights as stop signs. This (and the article about allowing wrong-way cycling) is the same as moving the sidewalk. Streetsblog argues for this - and that the way to end wrong way biking is to get rid of one-way streets. I'm not saying that cyclists should break the law. Nor am I saying they shouldn't. But we all know it's safer for cyclists to run lights than it is for cars. Shouldn't we evaluate the need for these laws? One of the best arguments for being a foot-dropper is "if bicyclists want to be respected like other vehicles, they have to obey the same rules." But, if the law were to change. how many cyclists would really sit through the whole light cycle when there was no traffic anyway? Would this make cyclists less safe? Lee also talked of 'Naked Streets' and there is a lengthy article on them in the Atlantic. Hey jerk, don't be a name-caller? I try not to be a hypocrite. I try not to say that such-and-such action was wrong because it was illegal, but because it was dangerous. This is a philosophy that has evolved over the three years I've been writing this blog. As I've said before, I don't care if you break the law (like driving without a license); just be safe and be courteous. The premise that cyclists' behavior somehow voids their right to sharing the road is indefensible. "Well officer, I thought it was OK to hit this cyclist because several blocks back I saw another run a red light" is not something anyone could defend. This becomes an increasingly difficult premise when one considers that, as I've tried to point out, cyclists aren't behaving any differently than drivers or pedestrians. They're taking liberties with law where they think it's safe to do so. Right or wrong, that is what every class does. Once we clear up this myth, we can work on the one about how cyclists bring crime. that basket on my bike is not just for groceries, it is for the goods that I rob from people while pleasure cruising down a rail trail. This could be harder than I thought. Seems to me that about once every 6 months some "jaybiker" misses the bet on "But we all know it's safer for cyclists to run lights than cars." Which is still probably less accidents in total numbers than red light running fatalites in cars, but if you look at it in per miles traveled standpoint I'd bet its at least 10x greater if not closer to 40x greater. My biggest complaint with most drivers is that they unfarily equate the actions of the cyclists that do break the law (one way or another) with ALL cyclists. I think the main reason that they do is that they are more likely to remember a cyclist that cruised through a stop sign or red light than another vehicle that did the same as cyclists are still quite a small minority. think a little, Safer <> Safe. Also, this blog is about 3 years old so that's about once a year. In the first example, the cyclist was doing more that was wrong than just running a light. In the second it may be driver age was an issue. Relatedly, I actually was pulled over by a police officer this morning on my commute. At the intersection of N. Lynn and Wilson in Arlington (heading towards the Key Bridge along N. Lynn), I stopped past the crosswalk. (I didn't go through the light until it changed, because that intersection has high speeds and a wicked blind spot.) The nature of the lanes at this intersection makes it such that the closest lane of traffic is still a good 5 feet off, but the officer had me on the letter of the law, no doubt. He was nice enough, telling me that if I wanted to be a vehicle, I had to be a vehicle (an idea I don't totally buy into for the reasons above). So, at least in Arlington, there's some enforcement of cyclist behavior happening. So long as it doesn't get to a place where I have to behave 100% like a car, sitting in same traffic at lights (but sucking down exhaust), I can live with it. A similar incident happened to me about two weeks ago. I was pulled over by an Arlington Cop for rolling a red on Fairfax Drive at the Ballston Metro station (one of only two intersections that I rarely come to a complete stop at). I broke the law, and was ok with his decision to pull me over...until I followed him down Wilson and he disregarded two or three separate pedestrians jaywalking, as well as numerous vehicles (including one from the county) blocking the bike lane. That left me feeling a bit targeted. If they're going to enforce the laws to the letter, they need to be enforced fairly, with everyone's safety in mind. I absolutely appreciate this post, especially with all the statistics and your sources. Thank you very much. I stop at red lights and usually stop signs, but that doesn't mean if there is no one coming after I stop, that I just don't get back on and run the light. In DC, I know drivers are pissed off at me, but when I see the pedestrians crossing, then I can do it too, no? Also, many of the lights I take (whether on the road or from a bike trail into the street), don't sense my bike, and even pressing the "walk" button it does not actually trigger a light change (there's one by 17th street in DC that it's at least a 5 minute wait after pressing the walk button), so I give up and don't waste my time waiting. Said that, I never weave through traffic -- I only run red lights and stop signs when there's NO ONE coming. Also, how dumb is all the stop signs on the Mt. Vernon bike trail? Shouldn't they be there for the cars instead of the bikers? And the "stop, dismount bike" signs? I can move much faster on top of my bike than I can walking along my bike -- how will dismounting make me safer when crossing the road? Actually, if you look at the dates 10/2006 3/2007 and 10/2007 it comes out as once every 6 months....I know back in early '06 there was a stop sign runner on the W&OD who got killed, as well as the pair (2 incidents) in August of '05. This is not to say that I dont occasionally treat a red light as a 4 way stop or "california roll" through a stop sign. Its my belief that in this area if you tried to change the rules so that bicyclists could treat stop signs as yields and similar measures you would end up with a whole lot of road paste. Drivers dont care and arent aware and bike riders would treat "yield" as no-stop no-slow ever as opposed to a traffic control device. Although it may seem unfair to drivers that bikes don't have to sit and watch an empty intersection while cars must sit and wait. Tough crap. The bike isn't taking anything away from or inconveniencing the cars at the stop light. It's just pure envy, which is one of the seven deadly sins. So, I really don't care what the drivers think. Some may see me as smart by clearing up the intersection removing a distraction from them. Others will give in to envy and need to get right with their higher power. Luckily we won't have to find out. I doubt any sort of change to the laws for cyclists at lights and signs is imminent in the area. If CA passes the law it would serve us to 'wait and see' how that goes. FWIW, I don't think cyclists would change the way they ride - except that some who strictly follow the law will behave like those who don't. But I think it might encourage more people to bike. And as I recall, collisions per mile go down as rideshare goes up. Case 1: "He wasn't riding in the street either, but coming from the median"
Case 2: 82-year-old hits immigrant on road "road/area he was biking on also has caused numerous fatalities due to poor construction of the roads and no sidewalks." Case 3: Hispanic immigrant in Laurel riding into an intersection against the light on a 6-lane highway. Tragedy in each case, but it doesn't exactly sound like a gathering of the "Effective Cycling" crowd. I saw the aftermath of an auto colliding with a drunk pedestrian out in Rockville a few months ago. The pedestrian was jaywalking and had a BAC of .22. Doesn't say much about your average pedestrians' ability to make these sorts of cost-benefit analyses, though. The second victim, Dawen Li, was an honors student and a very bright young man from all accounts. I would not be surprised if this were a case of the victim not being able to tell their side of the story. Thanks for the link to the Atlantic article. From the Atlantic article: "When you’ve trained people to drive according to the signs, you need to keep adding more signs to tell them exactly when and in what fashion they need to adjust their behavior. Otherwise, drivers may see no reason why they should slow down on a curve in the rain." If drivers are that stupid about how their vehicle functions in rainy conditions, they should not be licensed to operate. I guess my big beef is that everytime someone does something bone-headed, from the guy who runs the red and makes a bunch of drivers slam on the breaks to the idiots in critical mass who ruin the commute of hundreds, it increases the number of angry agressive drivers who will not give an inch to any cyclist under any circumstances, which increases my chance of getting squished. I bike commute 3-4 days a week, but after a major idiocy like critical mass I have to drive for the next 10 days or so till everyone calms down again, and I really hate that. I hope both cyclists and drivers read this. Hell, pedestrians too. I dislike it when cyclists violate the law because it makes us all look bad, and then I have to deal with the fallout as a bike advocate. But my observation is that it's not "cyclists" or "drivers" who violate the law but rather "people". When I ride with novices, they often start out as total scofflaws and mock me for stopping at red lights, then gradually improve as they take pride in their riding (or maybe they get tired of waiting me at lights). People naturally gravitate towards the freest behavior they think they can get away with and isn't taboo or dangerous -- thus cyclists run stop signs and drivers go 10 mph over the speed limit and pedestrians ignore the law completely. Understood. Though it's interesting that when a car runs a red-light, swerves in and out of traffic, or drives up the shoulder to get ahead of stopped traffic, you don't see drivers say to themselves, "God what a bunch of a$$holes we are!" I think "building on the goodwill of auto-drivers" is a fool's errand. To the angry little men (and women) who we're talking about, your mere *presence* is the provocation. My response is to take the lane in most cases, ride my own ride, and realize that no one's going to intentionally run you down. Maybe we should take a page from the motorcyclists, and cultivate the image of the cyclist as someone you really, really do not want to tussle with. Whether it's a fool's errand or not, you can't really hope for all cyclists to stop breaking the law. It's a tragedy of the commons situation. If you obey the law to build good will, you pay full price but get only incremental benefit. On the other end, if everyone obeyed the law, the one guy who broke it would get full benefit at zero cost. I still have a lot of hope for cyclists adopting road laws as their own. There are going to be more and more people riding as gas goes up. It's times like these when riding cultures may shift. Newbies may change the culture, or there will be so many of us that we can't run red lights any more. Just having returned from a trip to Denmark, I can say that cars can effectively share the road with cyclists. Copenhagen is swarming with cyclists, who may outnumber cars 3 (or more) to 1. It's more bikes than I've ever seen in my life. Copenhagen has a set of bike lanes, where CYCLISTS HAVE THEIR OWN TRAFFIC SIGNAL AT INTERSECTIONS. Of course, what makes the driver/cyclist detente possible is the massive expenditure on bike-friendly infrastructure and the insanely high taxes on cars that make cycling an attractive option for everyone. Traffic lights and protected lanes specifically for bikes would go a long way towards resolving the problem. You could even sell it to the car-centric by saying, "Look, let's just cordon off all these reckless cyclists so they don't get in our way have have to follow the rules for once. That should keep their dirty blood off my shiny new Lexus." I'm surprised at the posts noting encounters with the Arlington cops. I've been a Virginia-based bike commuter for 18 years now (year round, every day), I routinely run lights and stop signs (not boneheadedly), and I have never had an encounter with an Arlington cop. Occasionally, I actually prod the Arlington police to be more aggressive in targeting cyclists who ride around in the dark without lights. Perhaps contrary to something stated in this excellent essay, Section 42.6-1015 of the Virginia Code specifies that bikes used in the dark must have lights. Oddly, I guess you could interpret it so that it's OK to ride in the dark with a light that isn't turned on. Similarly, if you don't have a rear reflector, you are probably illegal even if you have a rear light. Weird. Here in Bethesda, cycling is definitely increasing. Also, if you spend much time riding (or driving) in Bethesda, whether on arterials or urban streets, you'll encounter a lot of different cycling "techniques"... Lately I've seen riders take the lane, stay to the right, use the center lane, split two lanes, ride two abreast (one on the shoulder), ride on the wrong side (against traffic), stop at red lights, run red lights, and so on. As cycling increases, I think that if this variety of styles continues, chaos will ensue. In Denmark I imagine they're so far past that critical mass that some rules had to be worked out. Hands down the best post of the year! "Many drivers break the law. I would almost be willing to say that every driver breaks the law..."
AND, I'd wager, many more drivers would break the law more often if they, like cyclists, could safely get away with it. That's part of the reason why motorists get frustrated and angry at cyclists--in heavy traffic, motorists are slowed or stuck by the vehicles ahead of them. Not so with the bicyclist. Jealousy breeds contempt. Again, you made some excellent points in this post. Thanks for saying what needs to be said. I assess each stop light/stop sign intersection and proceed accordingly. The busier the intersection the more likely I am to stop/wait. If I'm riding in unfamiliar territory I'm even more likely to stop/wait. "If you obey the law to build good will, you pay full price but get only incremental benefit." Yeah, I agree with that. But I'd take it further and argue that by obeying the law, you are *not* building good will. Drivers don't care about cyclists following the letter of the law--other than as a cudgel with which to drive cyclists off the public roads. Anyone who thinks driver anger towards cyclists is about getting cyclists to signal, or come to a full stop at stop signs, or whatever doesn't understand the dynamic. Great post. Just thought you deserved another shout out. It is interesting to note that intersections where bicyclists are fully accommodated just like cars (designated lanes and sensors) you get a greater compliance with the law among bicyclists. The problem is it is human nature that if a group of people are treated like secondary class citizens some of that group will bend the rules to create a quasi equality. We are confronted with the fact that almost all light sensors are adjusted not to detect bicycles, timed lights are designed to make bicyclists stop twice as often as motorists as well as other results from a total neglect that we are part of the traffic mix. Faster vehicles have to be accommodated so they can go at least as fast as reasonably possible, slower modes of transportation on the other hand since they are so slow don't mind going even slower. When we can start confronting and dispelling these myths we may stand some chance of seeing a positive change. Great post, and several great comments. No irresponsible behavior justifies the standard practice of mistreatment. This is why self-defense is a legal justification. Said another way, regardless of whether some cyclists break the law, Motorists are not absolved from obeying it. Likewise, the fact that motorists break the law does not absolve bicyclist or peds from obeying it. Bicyclist, motorists, and peds make errors, bad decisions, and don't pay attention sometimes. And sometimes this ends up causing harm to themselves and/or others, but not in equal measure. This is a power imbalance to which I think Shawn refers above. For example: failure to yield by a bicyclist usually results in someone stopping short or changing course, but if someone is hurt or killed, it's often the bicyclist. Failure to yield by a motorist also usually results in someone stopping short or changing course, but in contrast, if someone gets hurt or killed, it's often NOT the motorist. I don't think people like realizing that driving a car or truck entails tremendous responsibility. The alternative, which is SO unattractive, is either typically offensive "blame the victim" thinking, or juvenile "you first" thinking. I guess I agree that the "propogate good-will" agrument is no-good, but I'd like to retain an aspiration to civil behavior. Abuse of power comes as no surprise, which makes it a good idea not take on more power than you're ready for. Oh, I forgot a bit in the second paragraph: that a law is wrong-headed can justify disobedience, but civil disobedience should always be intentional, and generally should be civil. I'll admit, it's hard to keep from getting angry when your life is threatened, and it's hard not to get scared, anxious, or angry when you have threatened someone else's life, even inadvertently. Excellent post! I wish there was a way to send this to every e-mail address in the USA! Then, there would be no more "I didn't know" defense! I liked this post, but I find myself wondering who this is written for. I am a cyclist and an advocate--like Jack. When I ride I try to set an example for all road users by obeying the law. Why? Because I frequently have to answer for all cyclists. Sure, it's not fair, but it is a reality. Ya know what? Obeying the law works. I almost never get road rage directed towards me, and I am a much stronger cyclist because of the constant start/stop sprinting. What I don't hear much of is introspection by the cycling community. I don't hear: Maybe we do need to do a better job of obeying the law. Maybe if we want to carve out a bigger chunk of the public roads (transportation $) for ourselves, we have to realize that we are being held to a higher standard than drivers. 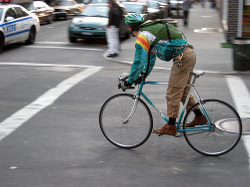 It is heresy to say that I hate the way most cyclists act? That I get totally offended by the way they ride because it endangers themselves, me, other road users, and does nothing but reinforce the Myth of the Scofflaw Cyclist. I guess this post was meant as an answer to drivers who complain about law-breaking cyclists. It seems that anytime a discussion about a law to make cycling safer is discussed someone will point out that "cyclists run stop lights." As if all cyclists have now surrendered their right to safety. It is not heresy to say you hate the way most cyclists act. There are a lot of cyclists in your camp. I think everyone would agree that it's uncomfortable or angering to watch a cyclists bike in an unsafe or discourteous manner. I disagree that there is not much introspection. I think there is a lot of discussion - more than there is among the other groups - of what is appropriate. There is also a great deal of disagreement between foot-droppers and jaybikers. Look if I could snap my fingers and everyone would obey all the traffic laws I would do it. I think averaged out cyclists would win out (though I'd still push to change the laws in our favor). But I can't. In the end, I don't think you can get all cyclists to bike by the book - not even close. So why try to push that string? Within the past few months we have seen a crackdown on cyclists using the CC Trail. Within the past week or so, there has been a cyclist death and a spate of bike crashes. You and I have both read the news coverage and the comments that followed. The lesson I drew from all of that is not "It sure is dangerous out there!" Really? No, I saw the palpable hatred there is out there towards cyclists and concluded that some of those people were making legitimate points. Whatever introspection there is in the cycling community certainly does not seem to be registering in the aggregate behavior of cyclists. Of the couple dozen cyclists I saw this morning while riding, only two were adhering to the law at the traffic lights. It is worth noting that both were roadies; each was dressed in his team's kit. I won't tell you how many drivers I saw breaking the law. That is beside the point. What is my point? We cyclists will never elevate ourselves by tearing down motorists by saying that they're no better than us, or that they are much, much worse. Will we cyclists achieve equality—and by extension, safety—by complying with traffic laws? Not necessarily. But added enforcement of traffic laws for all road users would bring us closer to equality (all modes being equally safe). You brought up Seattle in your posting. I would argue that Seattle’s efforts in ticketing jaywalkers were not futile; Seattle has the lowest pedestrian crash/death rate of any large city. Why? The answer is good design, lots of people walking, all buttressed by aggressive enforcement. It would be hypocritical for us to call for greater policing of drivers, without welcoming the same level of scrutiny of all road users including ourselves. Our time is coming anyway. The more cyclists we add to the streets, the greater the need and the louder the calls will be to regulate our user group. It’s either that, or we just do away will all signs and markings, and just let all users figure it out. Great post - intelligent, informative, rational and fair. It should be required reading for all parties involved! Interesting article. But, the word is "brakes" not "breaks". Every misspelled word makes you look less professional. 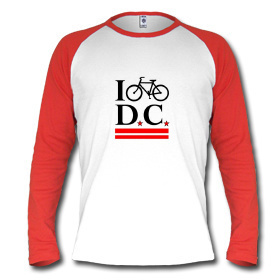 I train 300 miles a week on DC and MoCo roads and see plenty of bad car and bike behaviour. Problem is that bike messengers, commuters, and yes fellow racers who blow through intersections, ride on the wrong side of the road, and weave down sidewalks while talking on the phone or listening to their iPod reinforce every negative stereotype drivers and pedestrians have of us. Bottom line is that it is irrelevant how drivers behave; work on controlling your behaviour as a cyclist. My suggestion is that all of us focus less on demanding our "rights" as bikers or drivers and focus more on cooperation. However, in an ego driven metro area some psychology is useful. I've found that when I slow down when approaching a 4 way stop, drivers will wave me through almost every time (I always give a wave of thanks). But if I look like I'm going to try and outsprint the car to the intersection, every time the driver will do 100mph to race me to the corner so he can pull out at a slow roll, flip me off, and make me stop. I plead guilty to blowing through my fair share of lights and stopsigns (but never sidewalks) and drafting cars and splitting lanes at 35mph but a huge crash and 5 hours in the ER smartened me up. Driver did a U turn from the curb in front of me so I hit him at almost 40mph - no where to go. So the lesson is that even if you have the right of way you are outweighed by 4,000lbs and you will lose big every time. So, try this, seriously. Ride for a week stopping at lights and stop signs. Offer to let cars go first whether they have the right of way or not, smile, while you ride and give a wave of thanks to every driver that yields to you whether they're supposed to or not. Ride like you are trying your best not to inconvenience the cars on the road. Ignore the bad drivers and remember you are an ambassador for our sport. I've been riding like this for about 5 months and it has changed my life. I now have one bad driver encounter a week instead of 3 every ride. Most drivers wait at intersections so I can get a good run at big hills. Even though I ride the white line, cars give me extra room as they pass. Sure, you'll still find some jerks but I've found most drivers will cut you some slack if you come across as cooperative and humble. Steve, there's no mistaking me for a professional, but honestly I don't see the typo you're talking about. In California, a traffic signal will not always trigger for small traffic (bicycles & scooters), although they are required by law to do so. When this happens the signal is to be treated as a stop-sign. Hi, from Baton Rouge, Louisiana. First and foremost, my condolences go out to everyone, regarding the recent death of one of your local cyclists, Alice Swanson. From what I read about her, she was a very fine young woman, and what a tragic, senseless loss her death was. The chairman of our local bike safety advocacy group, B.R.A.S.S., (Baton Rouge Advocates for Safe Streets), posted a link to this blog. The B.R.A.S.S. website is: www.bikebr.org. One: Culture and mindset: Bicycles are not viewed here as having an equal right to the road. And there are a small number of motorists that view bikes as a nuisance, and will do physical and verbal things to harass riders and put them in danger. Two: Education: on BOTH sides. Cyclists and motorists here need a better understanding of the laws that apply, and how to effectively and courteously “share the road”. Three: Laws Unclear in many cases and also need beefing up. Right now, there is a push for legislation that would require motorists to maintain a 3 foot distance at all time from a cyclist. Four: INFRASTRUCTURE: Our situation in Baton Rouge and surrounding areas, as bikers, is quite dire at the moment. Bike lanes for commuters throughout Baton Rouge, are only one step from non-existent. So, this is a major area of work for us, but of course, we have to help our local officials understand that these improvements benefit the entire city, and not just a few bike riders. Recreationally, there is one 3-mile multi-use path on the Mississippi River levee that is wonderful, but it’s only 3 miles. Our other recreational option is a so-called bike-path around the LSU lakes. And if you watched the video on the second link, you’ll understand that the condition of these paths is downright dangerous. (but I will say that there has been recent funding approved the restored on major piece of the bike path around the LSU lakes, so that’s a step in the right direction). Training ride location: an area of the River Road was designated a “bicycle training route”, after 2 cyclists were killed and six more were injured in 2002. Signage was put up to indicate this, but it’s not enough, as evidenced by Dr. Goodier’s death in the same location. Mindset, Education on both sides, Legislation and Infrastructure improvements are all needed to make this a safe training location. Anyway, I just wanted y’all to know that you are not alone! We are all in this together. And as the world changes around us, these issues and the use of bicycles will become even more important. If there’s ever something important to breaks up your way, regarding these advocacy issues, please share it with us. And we will do the same. I have a serious beef with wrong-way cyclists. If I'm riding with traffic and have to get by a rider coming against traffic, I have to decide whether to shove him into the curb or oncoming motor vehicles. Or, to put it another way, as the law-abiding cyclist I feel I get to choose whether I go toward the right edge of the road or farther into the travel lane, but neither one might look too attractive. If there are parked cars and a full lane of motor vehicle traffic, the wrong-way rider and I both face unsavory choices, totally forced by the wrong way rider's selfish decision to put personal convenience above the safety of other road users, some of whom may be fellow cyclists. I devote a fair amount of blog time to introspection about cyclist behavior and road-sharing ethics. Not everyone can use pedal power. All user groups need to be accommodated on the PUBLIC streets and highways. Many who drive could ride instead, but good luck with that. Even so, some road users will always be stuck in the sensory deprivation tanks because of load size and distance to travel. Big thanks to Andy from SFBC for the link. I'm planning to send this one far and wide too. I really liked the post with all the information. For my part, I generally obey traffic laws. There are a few sections of sidewalk riding (illegal in the downtown / mall area of D.C., but rarely enforced) and a one section of wrong-way one-way streets. I take the lane, stop at stoplights, and have planned my commute to use roads with 2 or more lanes so that traffic has plenty of space to get around me. I very occasionally proceed through stoplights, and have had people tell me "that was a red light!!" Generally I ride in straight lines, give motorists as much space as I think I can safely, signal when I take a lane or turn left, and usually I don't have any problems with attitudes or negligent / inattentive drivers. I was in my car the other day and saw a very bad potential accident, one where a kid on a mountain bike with brakes disconnected ran a red light ('orange' light style) and nearly was hit by traffic starting across the intersection. I think that this type of cyclist is more at risk than the average reader of this site, and I'm not really sure what would be a good way to target that audience. I've seen many many bikes without brakes (excluding fixed gears, which I ride) on my commute between D.C. and Alexandria, and seen them run stoplights without slowing or looking. Food for thought: how to teach this group of cyclists how to repair their own bikes (e.g. 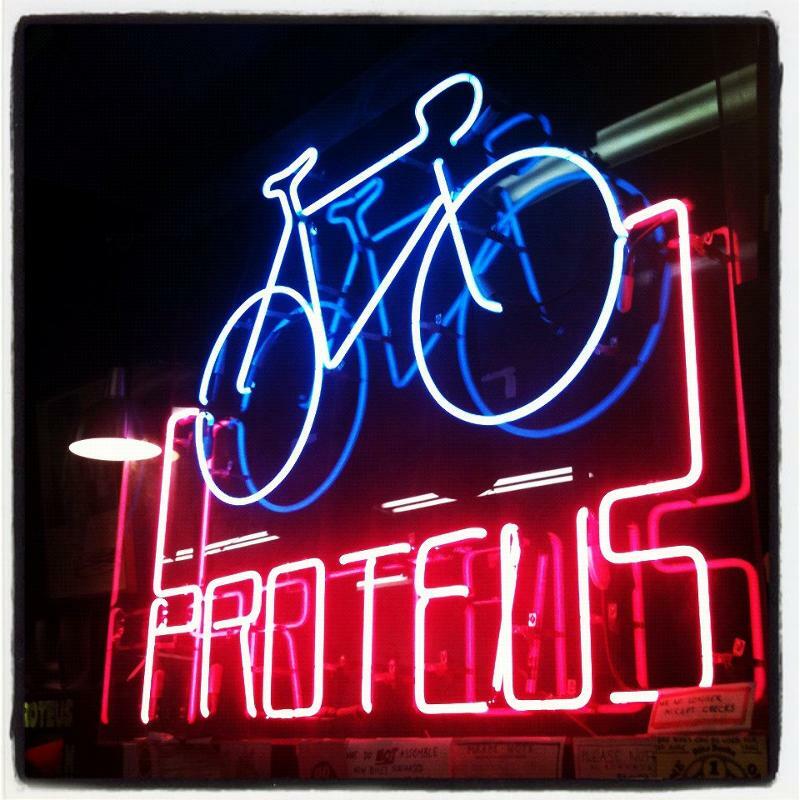 brakes), and the importance of cautious cycling (not even necessarily obeying all laws)? Sometimes, drivers take the law into their own hands, like this guy, who nudged the cyclist out of the lane, because he thought he should be using the bike lane! I've been reading this blog since the first day. This is the best post ever. By far. Contrarian, I couldn't have written this post on day one. My opinions and knowledge, and this post, were formed largely by comments from readers like you. Thanks. I'm not claiming that this makes motorists better (their sins are many); I'm merely suggesting that we are not risk/reward calculation machines, but rather culturally formed, social and moral beings capable of changing our behavior. If you think that it is impossible for motorists and cyclists to respect each other AND the law, take a look at Holland, Denmark, etc. The countries that are most cyclist friendly are generally also those where cyclists are best behaved. (In other postings I have argued, largely to deaf ears, that cyclists benefit from a culture of lawfulness.) We could argue endlessly about cause and effect, of course. Or we could seek to improve conditions for cyclists (infrastructure) while fostering a culture of lawfulness among both cyclists and motorists. Why is it so f*&king hard to get people to take a hard critical look at their own behavior? I think you need to reread this. You seemed to have missed the main point and many of the lessor ones. First you say I missed culture. But I made the point that drivers don't jaydrive because of a cultural taboo aspect. You claim drivers don't run lights because they just don't run lights. But that isn't really an answer is it? I would further claim that cultural concerns get thrown into the risk/reward calculations. Not only do drivers risk tickets and accidents, they risk social isolation and that's what tips the balance. Defying the culture and being an outcast, as well as breaking ones own ethics, are added risks in the calculation; but we remain risk/reward calculating machines. You seem to think this essay is rationalizing misbehavior. But it does not. You seem to think that I believe it's impossible for motorists and cyclists to respect each other AND the law. But I don't state that. You seem to think that I'm stating cyclists don't break the law, but I don't. Perhaps the problem is that the title calls the scofflaw cyclist a myth. Depending on your definition of scofflaw it may not be. But I think this post shows that either cyclists, drivers and pedestrians are all scofflaws or none are. 1) Cyclists are not uniquely irresponsible. Cyclists are no more scofflaws than drivers and pedestrians. 2) The claim that cyclists are uniquely irresponsible gets in the way of real discussions of how to improve safety. Some drivers speak as if they believe that "Everything would be fine if cyclists would stop running red lights" or that "there is no need to be concerned for cyclists safety until they begin to bike responsibly like drivers do." Neither of these statements are defensible. 3) It is advisable to ask if the laws we've written for drivers are reasonable for cyclists. You state that refuting the myth that cyclists are uniquely irresponsible could be counterproductive, but don't state how. I believe that having non-cyclists judging cyclists with a stereotype that is inaccurate and derogatory is counterproductive. Ignorance is not our friend. Your examples of planning boards and speeding motorists are only applicable if you can show that they're myths - and the second one is going to be difficult to prove. As for why it is so hard for people to critically look at their own behavior, I think that's what this posting is at least somewhat about. Why do cyclists run red lights? Why do drivers speed? That "everyone should just wake up and obey the law" is an overly-simplistic solution. How do you get that to happen? Before you can answer that you need to ask why people break the law in the first place. In my hometown (suburban southern California), jaydriving was pretty common late at night: it's 2am, the traffic-light is on a 2 minute cycle, and there is absolutely no one else around. I remember one of the newspapers even did an article and survey: driving through a red light is illegal even late at night... but would you do it? I recall that the survey answer was somewhere in the 30-40% range of people that said that they either had done it, or didn't feel it was a problem. Great article! all of the comments and information in general has made me take a new look in the way i ride my bike. I am lucky enough to live in a an area that has a pretty awesome bike/walk trail, which i thankfully live and work near. I think if i had to ride on the road with traffic, i would have a little more to say about running red lights. I do run a few, but the main area where i deal with road ridding and traffic is in my neighborhood, which is a 25mph speed zone, and small 2 lane roads with little or no sidewalks. I do not stop at the posted stop signs, unless a car has clearly made it to the intersection first, then i have no problem slowing or stopping for them. I feel that until the law requires me to register and license me and my bike, then i should not be required to follow the same laws as motorists do. That being said, i do not think we should completely disregard those rule that were put forth with our safety in mind. Riding against traffic is just stupid, i mean i learned that in elementary school. I even think it is rude and silly for people to walk/run/ride on the wrong side of the trail i ride, it just creates an unsafe situation and puts me and others in a position to either force them off the trail, or to make a needless maneuver to avoid them. I believe it is not up to the law makers to decide how we should act as social individuals, but each person should be aware of what they are doing, and hopefully courteous enough to respect the others around them. "In California, a traffic signal will not always trigger for small traffic (bicycles & scooters), although they are required by law to do so. When this happens the signal is to be treated as a stop-sign." Actually, the law only requires new or updated signals to trigger for cyclists and motorcycles. It's AB1581. I'm not saying I agree- but they're not required to retrofit existing signals. It is legal to treat a light that won't change for you as a stop sign in all 50 states. That according to Bob Mionske's great book, "Bicycling and the Law" which I highly recommend to everyone who interested enough to read this blog. Someone else mentioned that cars would break more laws if they could get away with it. I think that's true of everyone. I see a lot of wrong-way-cyclists who admit they know it's illegal, but don't understand the danger, and have never been ticketed. So, so what? Here in California talking on a non-hands-free cell phone became illegal July 1st. I went from seeings 10s of people a day doing this to none. Two months on, and people are starting to pick up their cell phones while driving again. It's an impossible law to enforce, and people know it. People don't obey the law becaue it's the law. People obey the law because they think not doing so will either get them a ticket or injured/killed. I was surprised to find one-way streets that could be cycled in two directions in Liege, Belguim and several German cities. They were always one-lane roads that were wide enough for a car to pass a cyclist without trouble. I have not observed very many cyclists jay-biking red lights in Europe. Stop signs are not an issue, since there are very few here to begin with. Most intersections only have yield signs or nothing at all. It is an odd sight coming from the US, but it appears to work. Which points out another way that US roads are not designed with cyclists in mind. Stop signs in residential neighborhoods in the US are as much for speed control (or deter through traffic) as they are to designate an intersection. Otherwise most could be changed to a yield sign anyway. These same through residential streets would be perfect cycling roads if not for the every other block stopsign. Sorry but using the "drivers break the law more than cyclists" excuse is a cop out. Using others bad behaviour to justify ours a cyclists is counter productive. By riding within the law at all times, cyclists can take the high ground. Obeying the laws while working to change them gives us the high ground. Why lower ourselves to the level of drivers by justifying bad behaviour. Ralphie, it's no excuse. Again, this post is not a rationalization or a justification. No where do I say it's OK to break the law. You will never get every cyclists to obey every law all the time. If that is your goal, I'm afraid you have a lifetime of disappointment ahead of you. As to lowering our standards to that of drivers - most drivers think we'd have to raise our standards to meet theirs. And that is my point. We are no worse, and probably no better, then drivers. We all break the law when we see it fits our needs. So, lets move past the finger pointing and get down to deciding which laws make sense and which don't. Outstanding post. Among my favorite "calling the kettle black" laments is the tiresome bikes at stop signs gripe. This commentary is a great riposte. Just have to say that as a cyclist and a driver my point of view is, no matter which seat I'm in I do NOT want to be involved in a car-on-bike accident. Red light and stop sign running on the part of the cyclist are two of the many things which are counterproductive to that effort, but are really the only things that I as a driver am not in control of. When I, as a driver, stop at a 4 way intersection with stop signs, look, and proceed through the intersection the last thing I want to see is a cyclist come from out of nowhere from my left or right. This happens a lot where I live and it's frightening and one of these days it will result in an accident. As a cyclist, I understand how frustrating it is to stop at each and every stop sign (believe me I live in Old Town Alexandria and they are every hundred yards!) but I know how often I'm surprised by cyclists, and I know how many people pay far less attention to their driving than I do. That's not a risk I'm willing to take. There are some really good points in this article, but I think bikers understandably rolling through stop signs and stop and rolling through red lights to conserve momentum is an entirely different thing from Chain Reaction. I live in SF, bike the city at least once a week and used to commute on my bike daily last year. I think CR truly hurts the bike community. If you really think honestly about it, it's unbelivably rude for a large, scattered group to blast through all red lights in its path. I got caught behind CR last year and was stuck for about a half hour. I am a biker, and I hate CR. The presumption that no driver could have an emergency or urgent issue more important than the ride is deeply arrogant. Even Friday Night Skate, which is not known for its courteousness, will occasionally have groups that intentionally hold back to let a stuck car through. CR seems to have a culture of maximizing inconvenience to the drivers it encounters. It's non-mythical law scoffing and no way to build a bridge. Are you talking about Critical Mass? Hi I am a member of the Cycle Touring Club UK and have cycled in London for many years. Excellent article, Most if not all of your points are equally valid on my side of the Atlantic. What an excellent post. I'm a full-time cyclist so all of this really strikes a chord with me. My little antecdote is one time, years ago, a police officer smiled and waved to me as I slowly and cautiously rode through a stop sign. She obviously understood the laws pertaining to bicyclists. Lots of very narrow Dutch streets have signs showing "one way for cars, two ways for bikes, mopeds and pedestrians." And lights for bike lanes (like walk signs for people) with enforcement. And some intersections are "yield for bikes, stop for cars," but the big ones, everyone stops. Strictly enforced, and a whopping fine if you don't. Bikes are not the same as cars, and rules can and should be adjusted to deal with that. The vehicle code won't disintegrate. We already have vehicle specific restrictions on many freeways (no mopeds / bikes) and on city streets (no 18-wheelers, no air-brakes). But that's different from "no rules." Someone just referred to this post as a reply to a comment on my blog, and a very good post it is. The idea of going against traffic on one way roads definitely didn't start with London thinking about it. In fact, it's been reality here on all the one way roads I've seen for several years. Can't speak for others but when I ignore the law it is almost always to make me safer, and occasionally for my convenience when it doesn't make me less safe. Cyclists are often safer moving than when stopped, especially at intersections. We are not the same as cars--a good cyclist sees and hears better, maneuvers better, can go more slowly, accelerate more quickly and stop shorter than a car, which makes it safer for us to yield at stops and go after stopping at reds, than a car. As more people cycle, many will come to understand these things. Others won't, and traffic will likely continue to get more pressured, frenetic and shizoid as life does the same. As quiet electric cars become more common we will need to adjust. But we may get through these tough times and come out the other side. It's not just in the freewheeling Netherlands that specifically exempts cyclists from many road rules. "Fahrrad frei" signs abound in Germany, and "jitensha wo nozoku" is ubiquitous in Japan -- both nations that prize order, but also recognize that bicyclists can safely "bend" rules. Nice breakdown. But I think you've missed THE MOST important point of all. All traffic code was written specifically to PROTECT bicyclists and pedestrians from the damaging mass of motorized vehicles. The onus for all control and restraint lies with motorists, who have been artificially given convenient power to use in a responsible manner or forfeit their licenses. It's easy for motorists to brake and go. Their complaints about vulnerable road users, who have every right to use all of every street, are nothing more than specious excuses to avoid the responsibilities they accepted upon signing forms at the DMV. Traffic laws DON'T APPLY to pedicyclists, for the most part, who don't avail themselves of the travel lanes, as the law allows. You can hardly break any of the laws, shift lanes, speed except when traffic lights and signs don't accommodate your needs. Lights turn too fast to clip in and cross. Sometimes waiting for them means you never get an chance, especially those that automatically change only for massive vehicles. great post. a rational response to the myth. Much needed and appreciated. Cyclists just can't win. If you do the safe and legal thing by taking lanes less than 14 ft wide, coming to a full stop each time, then drivers will wizz past, honk, and speed up to get to the light ahead of the cyclist. I love the concept of Critical Mass, but it just doesn't work in theory. It generally seems to become a group of "renegades" out to annoy traffic instead of showing drivers that cyclists have rights to the road. I want to see a REAL critical mass though, such as everyday at 5pm the streets are filled with cyclists leaving work and bunch together. That would be just amazing. I got pulled over by a cop--first time ever on my bike--while riding down Sherman Avenue this weekend (we normally ride on 11th Street, but it was cordoned off for a street fair). Sherman Avenue has two lanes of traffic each way, and my wife and I were riding two abreast so that no one would try to pass us (since there's no shoulder, just a lane of parked cars). The cop who pulled me over said that we were "obstructing traffic" and that he could fine me $25 per block. I was confused by this since it seemed to me that we were riding with traffic, not obstructing it, and going as fast a slow car. I'm no expert in DC law, though. Who's right? traffic and, on a lane roadway, shall ride within a single lane." So if there were cars behind you that were unable to move in a normal and reasonable manner - which it sounds like wasn't the case - the ticket would be legit. "Normal and reasonable movement of traffic" can be construed to mean going the speed limit. If Drew and his wife were going significantly under the speed limit, then that could be considered obstructing traffic...and is likely the reason he got a ticket. Washcycle, I don't understand your quote. "... on a lane roadway..." --Should that be two-lane roadway? Anyway, I presume Drew and his wife were riding in a single lane, even if they were two abreast. If Sherman has two travel lanes in each direction, how could it be construed that they were obstructing traffic? I think the officer was out of line. re: "On a lane roadway" - That's what the law says. I think it means on a road with more than one lane. I agree that if there are two lanes in each direction it shouldn't be an issue, and I don't think that not riding the speed limit should be a ticketable offense. But Nancy has a point which needs clarification...does Sherman Ave have 2 traffic lanes each way, or just 1 traffic lane each way? If it's 2, then yes I agree it shouldn't be an issue. If it's 1, then yes it's an issue and the likely reason Drew got the ticket. It's not a tickeatble offense in DC. And making it illegal to travel below the speed limit is to make it illegal to ride a bike in most of the city, so that would be why I'm against it. In this case it's while riding two abreast. But if they switched to riding single file and took the lane, that would be just as "obstructive." This is the best post I've seen anywhere on biking/ traffic/ laws. Thank you for being so smart about the whole thing without being accusatory. I've had my fair share of problems- from a bad accident where I got hit by a car to having drivers threaten to hit me because they are too scared to pass me and just hate cyclists altogether. I think everyone should read this, no matter how they feel about bikes or traffic laws. It's just a shame that those who are against bikes won't take the time or they'll still come up with some silly reason to me angry. The title is "Myth of the Scofflaw Cyclist" but the body says "sure, cyclists are scofflaws, and so's everyone else." The main reason car drivers make vocal objections about cyclists' behavior is because they feel they are superior because they are "bigger". Law of the jungle type thing. You never hear them complaining about a cement truck holding them up in traffic or commenting on how the cement truck driver was dressed. Also, power issues are often taken out on cyclists, the smallest, most vulnerable, safest bet for people who act out their issues in their cars. That is, cars, which for many, are the only place they feel control in their lives. By the way, I love what you wrote and admire the clear style in which you write.